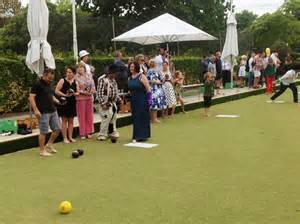 The Brentwood and District Bowling Association is a Triples League of two divisions and has 15 member clubs from Brentwood and the Havering area. As well as League matches there are several competitions available for entering. All our Clubs are always looking for new members, so if you fancy giving it a go 'click' on any of the Links on the left and get in touch with a club near you, they will be only too pleased to hear from you and will provide all you need for a trial or two. The Officers and Members thank all our Sponsors their continued support , it is greatly appreciated and long may it continue. Please support our sponsors and mention the Association if you do. Bennetts Funeral Directors have been supporting the Association for many years and continue to sponsor both the Arthur Bennett Memorial Trophy and the Bennetts Triples. Affinity Legal Group have also supported the Association for many years and continue to sponsor the Affinity Pairs and the Roger Burton Memorial Trophy.